If you tried many solutions to download YouTube videos before, you might know that it’s very hard to meet a perfect one to make it. For many users, KeepVid Online Downloader was their first choice. But KeepVid is not working anymore. Fortunately, its most powerful alternative – VidPaw YouTube Video Downloader is absolutely helpful for you to download any YouTueb video. You may have a lot of questions about VidPaw Online YouTube Video Downloader. Is it safe to use? How can I download a YouTube video with it? Take it easy. Let’s move to the next part to figure out all the questions you have. What Services does VidPaw Offer? Is VidPaw YouTube Video Downloader Safe to Use? Is VidPaw YouTube Video Downloader totally Free to Use? What Kind of Output Formats and Quality do VidPaw support? 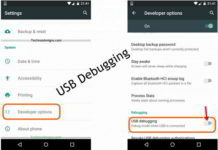 Can I Use VidPaw to Download YouTube Videos on Mobile Phones? 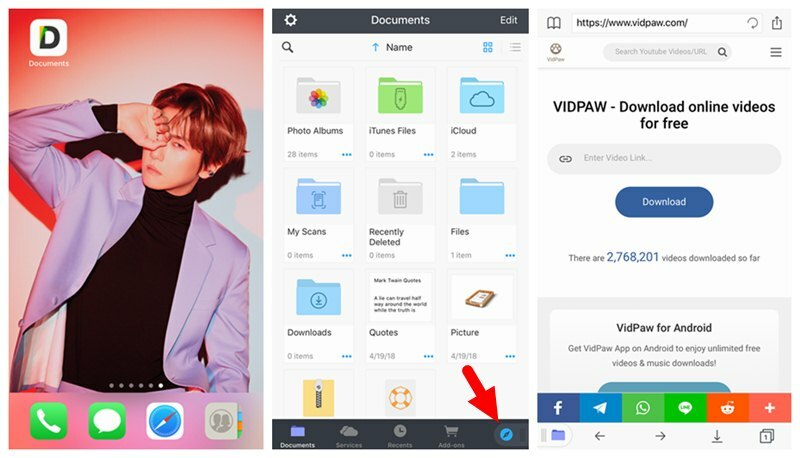 Does VidPaw Offer App on Mobile Phone? How Can I Contact VidPaw? How to Download and Convert YouTube Videos to MP3, MP4 by Using VidPaw YouTube Video Downloader? VidPaw is a powerful online video downloader, supporting you to download YouTube videos without any limitation. 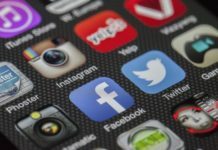 It’s designed to work as a download tool to help users to download online videos from more than 1,000 video sites, covering most popular sites like YouTube, Facebook, Instagram, Twitter. Therefore, VidPaw is not only a YouTube Video Downloader but also a Facebook Video Downloader or Instagram Video Downloader and so forth. 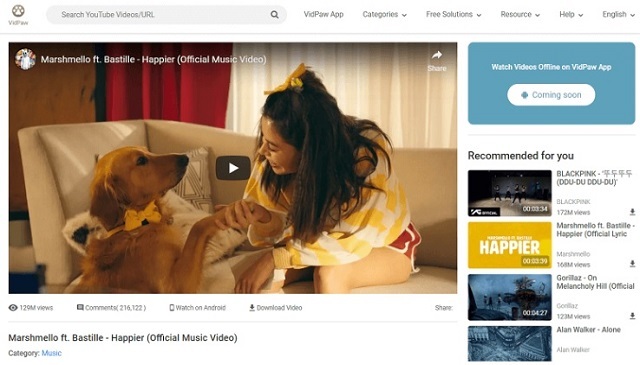 In addition to the YouTube video download services, VidPaw also allows users to directly stream YouTube videos on its website without opening YouTube. With its powerful search engine, you can use the keywords to find your target YouTube videos on VidPaw. What’s more, if you want to extract the audio file from a YouTube video, VidPaw is supported as well. You can easily download and convert YouTube videos to MP3 at one stop. Moreover, if you need, VidPaw can help you to download the subtitles from the YouTube video. Yes. 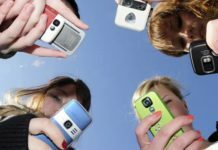 You might be worried about personal information leakage. As for this case, you can totally rest assured. Why? First of all, VidPaw doesn’t require you to login with any private account. Moreover, it is an online video downloader, so it has no ability to collect any private information. Of course, no virus or malware is containing in this website to do harm to your devices. You can feel free to download YouTube videos with VidPaw Online YouTube Video Downloader. Yes. All video download services are 100% free to use. You don’t need to pay for any subscription to get better download services. As for the output formats and quality, VidPaw has offered many different output choices to suit people’s need. It covers almost all the frequent-use formats and quality. Here’s a table to help you know clearly. Of course, yes! As an online YouTube Video Downloader, VidPaw is accessible on all devices. You can simply open VidPaw on any browser to download any YouTube videos on Windows/Mac, Android phones/tablets, iPhone/iPad. Currently, VidPaw only offers online video downloader. However, VidPaw App for Android phones/tablets will be released in the future. If you want to give a feedback to VidPaw YouTube Video Downloader, there are many methods to contact its team. First, directly go the Contact Us page. Second, follow VidPaw’s Facebook (@VidPawOfficial), Twitter (@VidPaw), Instagram(@VidPaw) to get the latest news. 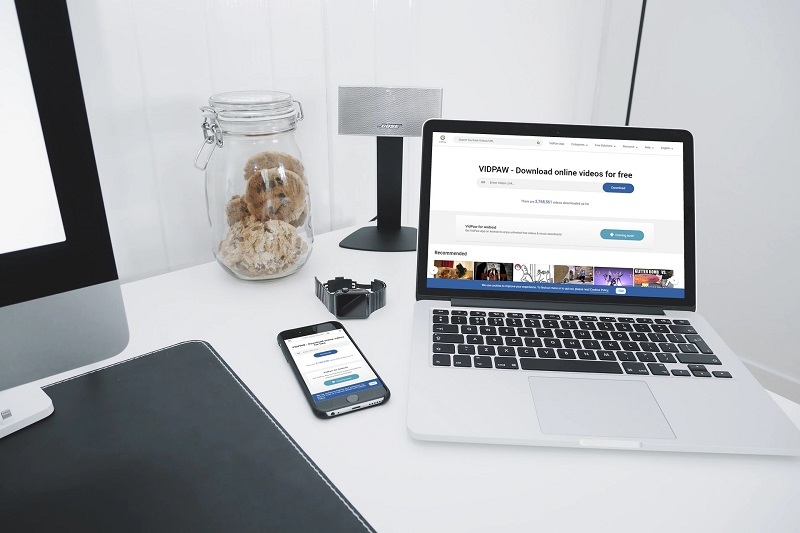 VidPaw Online YouTube Video Downloader is available to use on all devices like Windows/Mac, Android phones/tablets, iPhone/iPad. 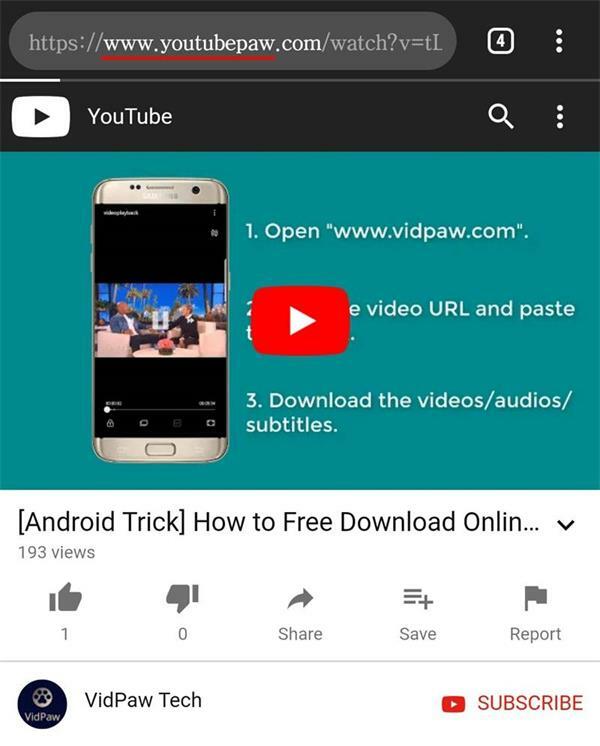 To download a YouTube video with VidPaw, you only need a few simple steps. Let’s see how to do it. STEP 1. Copy the YouTube video link beforehand. STEP 2. Paste the video link to VidPaw YouTube Video Downloader. STEP 3. Choose your wanted output formats and quality. STEP 4. Finish the download process. STEP 1. Open your target YouTube video on any browser. STEP 2. Directly change the video link to activate the download page. Change “m” to “www”, then add “paw” after “youtube”. Tap on the Go ahead button to move on. STEP 3. Pick up a suitable output format and quality based on your preference. STEP 4. Tap on the “Download” button. STEP 1. Download Documents app. STEP 2. Copy the YouTube video URL. STEP 3. Move to VidPaw YouTube Video Downloader. Paste the video link to the blank bar and tap “Download”. STEP 4. Choose an output format and quality. STEP 5. Tap the “Download” button to finish the download process. It’s not a tough task to download YouTube videos only if you have VidPaw YouTube Video Downloader. Now you’ve mastered the methods to save YouTube videos to MP3 with ease. Why not save VidPaw YouTube Video Downloader as a bookmark so you can return it later?